Tramore is a seaside town in County Waterford on the southeast coast of Ireland. 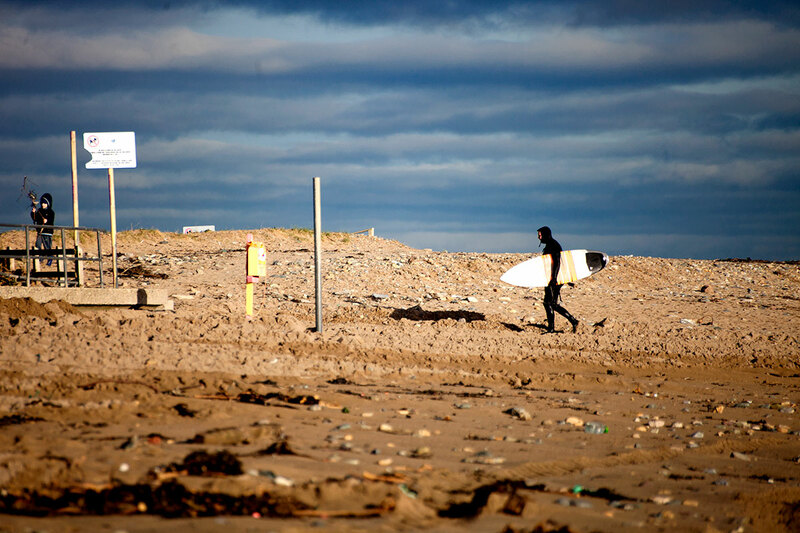 It is the centre of surfing in south east Ireland boasting a 5km stretch of beach and a pumping local club, the T-Bay surf club. T-bay does pick up a decent amount of rideable waves throughout the year and with nearby spots including ‘The Incredible Wave’ and ‘The Perfect Wave’, you’re bound to score, if the names are anything to go by. When these areas are blown out there is also the popular Kilmurrin Cove, a small horseshoe bay that due to its shape is pretty well sheltered when the rest of the area is being smashed around. Strong currents on both sides create paddle channels that can be used to get out back when it’s firing. Surfer and photographer Richy Needham was in the area for this early February session and captured these empty line-ups.